Denmark’s Largest Bank Pilots Own Payments Wearables, Choosing Low-Tech Option Over Apple Watch | NFC Times – Near Field Communication and all contactless technology. 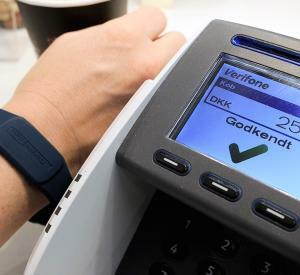 Denmark's largest bank, Danske Bank, is holding a large trial of its planned FastPay wearables, which would offer a low-tech alternative to Apple Watches. Denmark-based Danske Bank, which does not participate in Apple Pay, is planning to use prepersonalized contactless chips along with chip holders that consumers would order and attach to bracelets, wristbands and key rings. The bank, however, doesn't shun all high-end wearables, participating in payments services and smartwatches from Fitbit and Garmin. Article has about 1380 words.